This is a round flange Quick Meal Ranges porcelain sign. 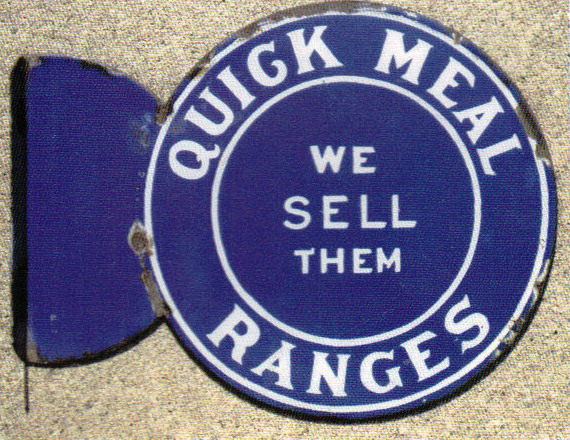 This particular Quick Meal Ranges sign is blue with white print. It reads, “Quick Meal Ranges, We Sell Them”.